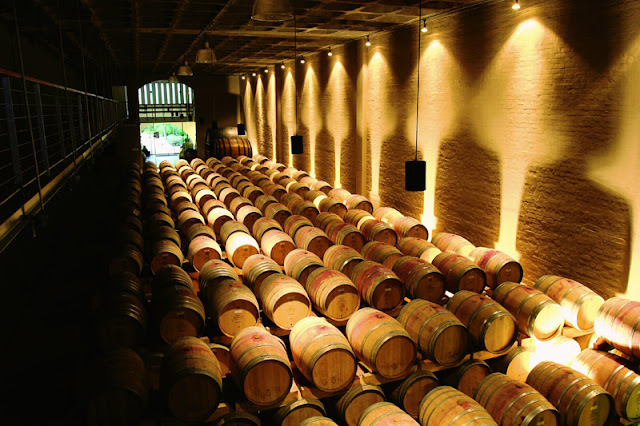 Groot Constantia has won 36 Gold medals over the last 10 years. Eight of these Gold medals were from foreign Wine Shows. 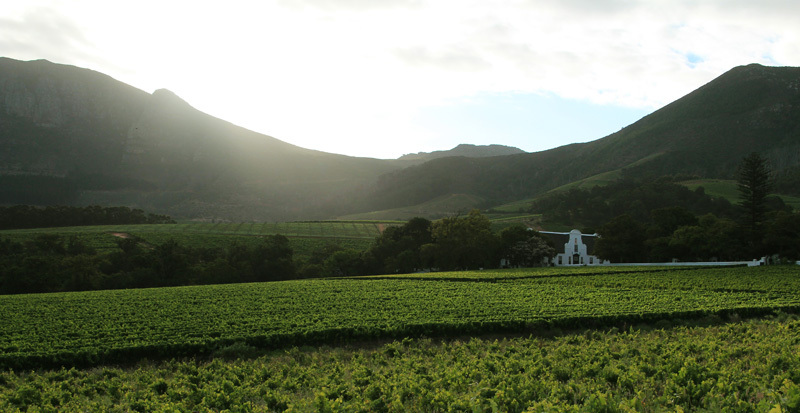 The Gold medals awarded were for various varietals, which proves that the property is versatile and can produce high quality wine across the varietal spectrum. Our Gouverneurs Chardonnay 2009 is carrying 5 star status from the 2011 John Platter Wine Guide. Our Shiraz 2008 was awarded 3 Gold medals in 2011: Top 100 SA Wines, Syrah-du-Monde, Classic Wine Trophy. Our Sauvignon Blanc 2010 was also awarded 3 Gold medals in 2011: Old Mutual Wine Show, Classic Wine Trophy and Veritas Award (2010). 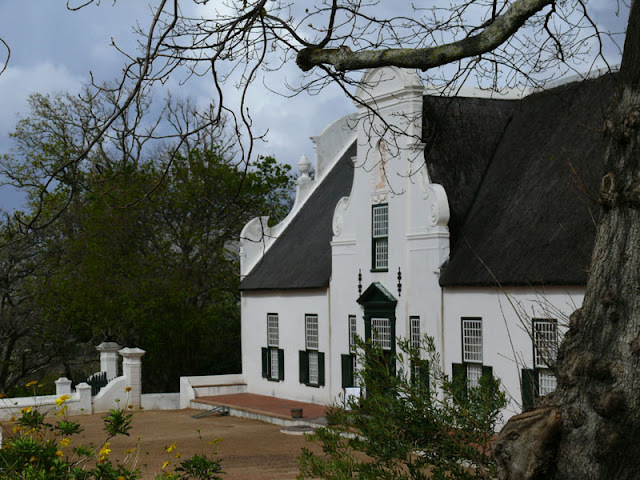 The Cloete Cellar was built in 1791, its beautiful pediment, the most famous triangle gable in South Africa, still preserved in its original state, was created by the sculptor Anton Anreith. 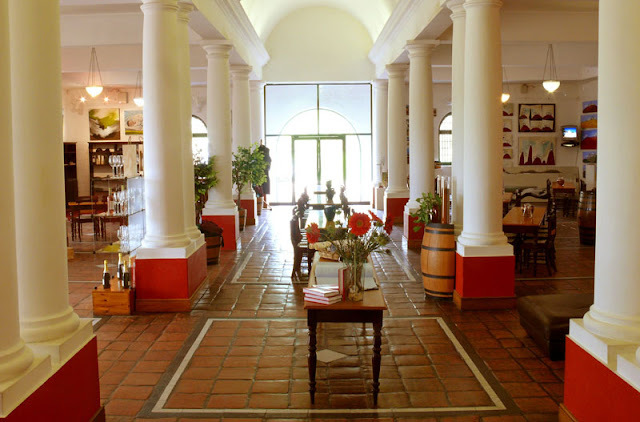 The Cloete Cellar has a collection of drinking utensils and artifacts. Contemporary documents describe Simon van der Stel, the first owner of what is now Groot Constantia, as having been born in Mauritius. In fact, he was born at sea while his parents were on their way to Mauritius from Batavia in 1639. 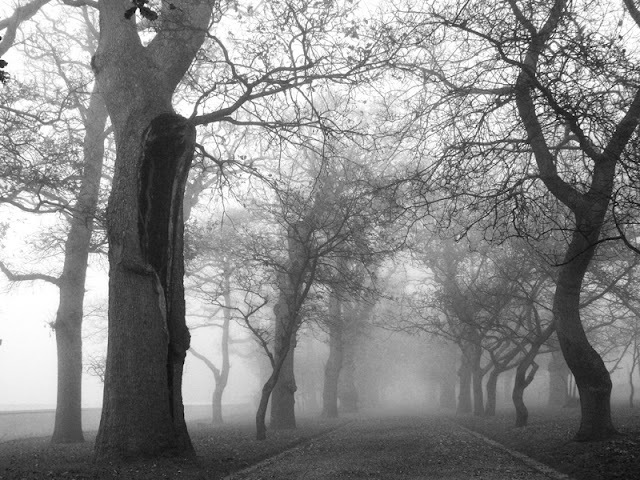 His father, who was in the employ of the Dutch East India Company (VOC, as contracted in Dutch), had been posted there, but was eventually transferred back to Batavia, were Simon remained until the age of 20, having by then lost both parents. Oloff Bergh, who took possession of Constantia on 13 November 1716, was born in Göteborg, Sweden, in 1643 and joined the VOC in 1665. He spent a few years in Ceylon as a soldier and was a sergeant when he arrived at the Cape in 1676. 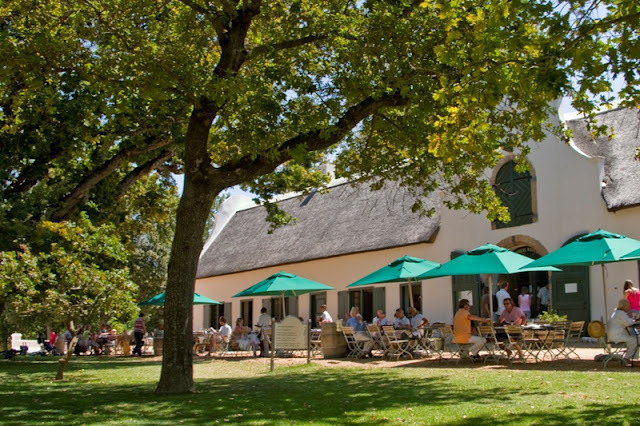 On 9 August 1734, Groot Constantia was acquired by Carl George Wieser. Wieser, a soldier in the service of the VOC who came from Heidelberg, Germany, arrived at the Cape in 1728. He was promoted to corporal 1730 and two years later married Johanna Jacoba Colijn, sister of Johannes Colijn, then owner of Klein Constantia. In 1724, Johanna owned a farm at Camps Bay and evidently had some farming experience. Their only child, a boy, was born in 1732. In the following year, Wieser resigned from the VOC to become a Free Burgher. Jan (or Johan) Serrurier, the son of a minister, Louis (or Lodewyk) Serrurier, and Esther de Vis, came from Hanau in the Netherlands. 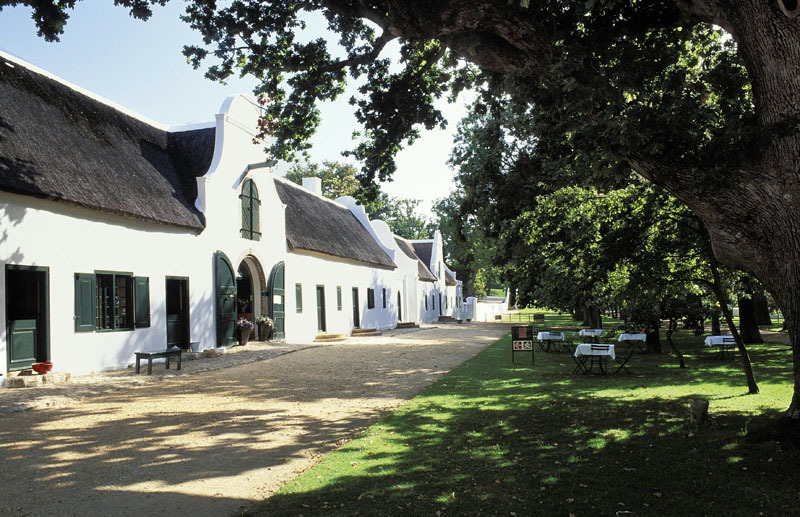 In 1747, he married Catharina Kretzschmar, the widow of Jan van der Swyn, who from 1738 had owned and lived on the farm Alphen, not far from Groot Constantia. Two sons were born from this marriage. 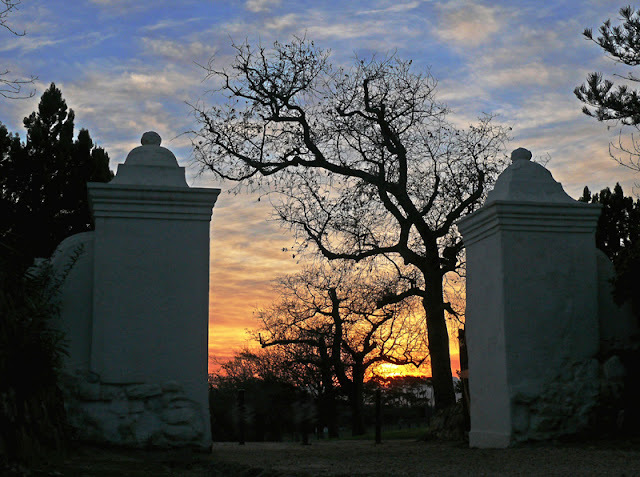 In 1755, after Catharina’s death, Serrurier married Geertruyda (baptised 1736), daughter of the wealthy farmer Jacob van Reenen (died 1764), owner of Witteboomen, also near Groot Constantia. They had seven children. Between 1778 and 1885, three generations of Cloetes owned Groot Constantia and a total of five Cloete generations were responsible for its viticulture. 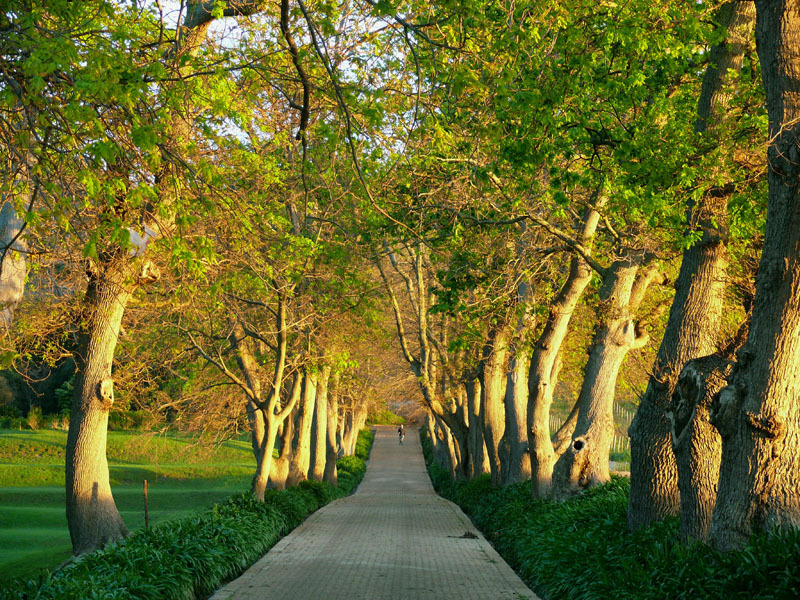 Hendrik Cloete junior had a close association with the estate starting 1778, the year that his father bought it and had given him the job of farm manager, for which his remuneration was a share of the produce. 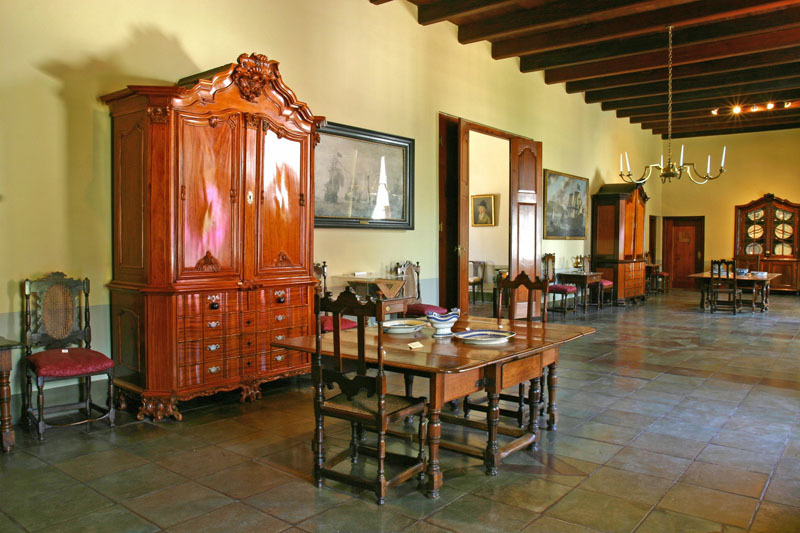 The house is presently furnished as the home of affluent people, such as the Cloetes, dating to between the 18th to early 19th centuries at the Cape. 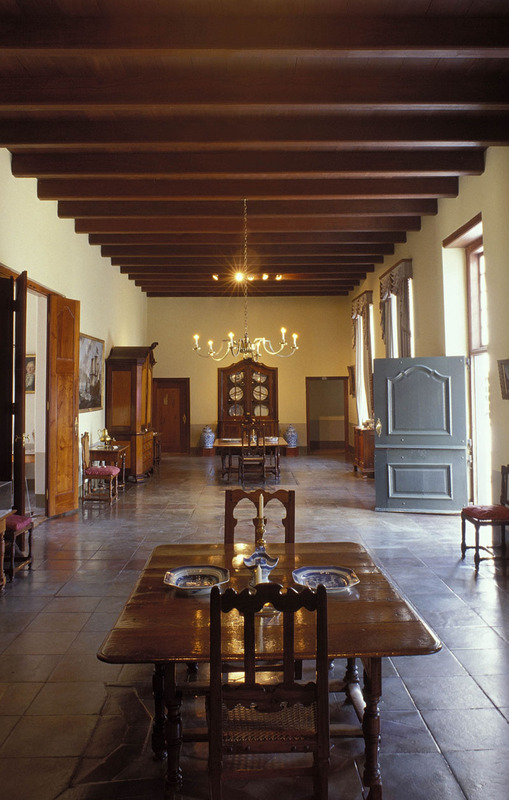 Furniture has been placed in pairs and paintings according to themes where possible, in the manner common during this period. 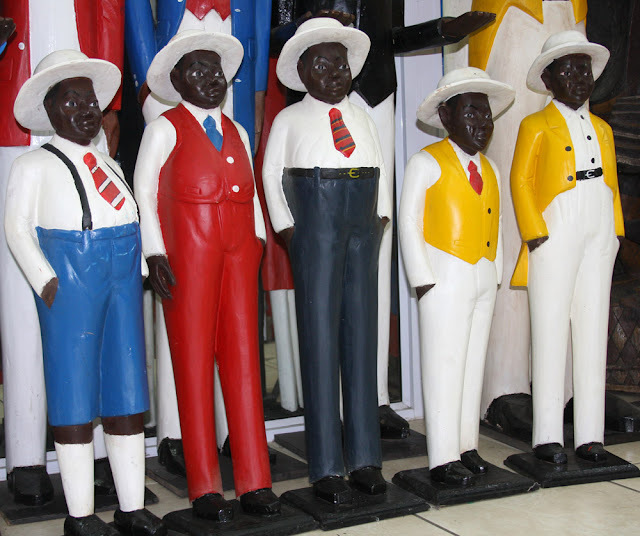 Most of the furniture in the house was made at the Cape.